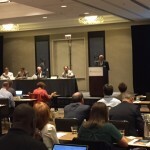 Enforcement of alcohol regulations and policies was a recurring theme during the Center for Alcohol Policy’s Ninth Annual Law and Policy Conference held at the Renaissance Dallas Hotel August 28 – 30 in Dallas, Texas. The conference brought together a diverse group of state and federal alcohol regulators, law enforcement, legislators, public health advocates and alcohol beverage industry representatives to review trends in the field of alcohol regulation and learn from best practices around the country. 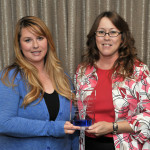 The Center for Alcohol Policy presented Sherry Cook, executive director of the Texas Alcoholic Beverage Commission (TABC), with the Fourth Annual Leadership in Alcohol Regulation Award. 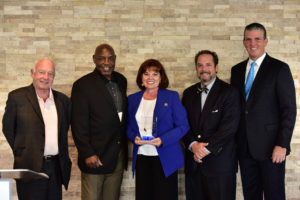 The award, which recognizes a specific program, agency or person who oversees the alcohol industry and promotes public safety, was presented by the Center’s Advisory Council at the Ninth Annual Alcohol Law and Policy Conference in Dallas, Texas. The Center for Alcohol Policy is pleased to announce that Roni Elias, a recent graduate of Florida A&M University College of Law, is the winner of its Eighth Annual Essay Contest. 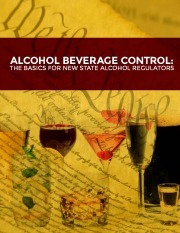 The national essay contest is intended to foster debate, analysis and examination of state alcohol regulation. “This year’s essay gave participants from across the country the opportunity to examine the impact of the 2005 Granholm decision on today’s state-based alcohol system,” said Brannon Denning, a member of the Center’s Advisory Council and associate dean and professor of law at Samford University Cumberland School of Law. Elias’ winning essay, “Three Cheers for Three Tiers: Why the Three-Tier System Maintains Its Legal Validity and Social Benefits After Granholm,” outlines the regulatory and economic advantages of the three-tier system and how threats to the system could erode those benefits that suppliers, wholesalers, retailers and consumers receive. 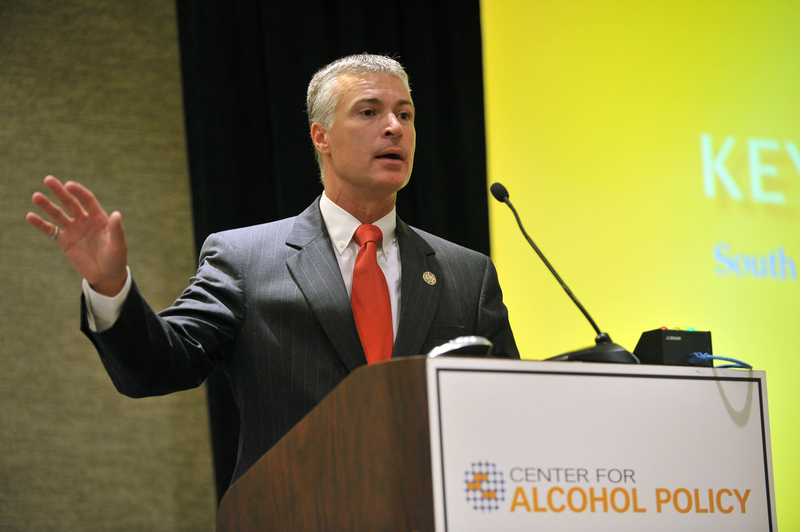 The Center for Alcohol Policy (CAP) Eighth Annual Alcohol Law and Policy Conference kicked off day two at the Hyatt Chicago Magnificent Mile in Chicago, Illinois, with keynote remarks by South Dakota Attorney General and National Association of Attorneys General President Marty Jackley. The Center for Alcohol Policy (CAP) is pleased to announce that the Montana Department of Revenue’s Liquor Education Unit is the recipient of the Third Annual Leadership in Alcohol Regulation Award. The award, which recognizes a specific program, agency or person who oversees the alcohol industry and promotes public safety, was presented September 10 by the CAP Advisory Council at the Eighth Annual Alcohol Law and Policy Conference, which took place at the Hyatt Chicago Magnificent Mile in Chicago, Illinois. 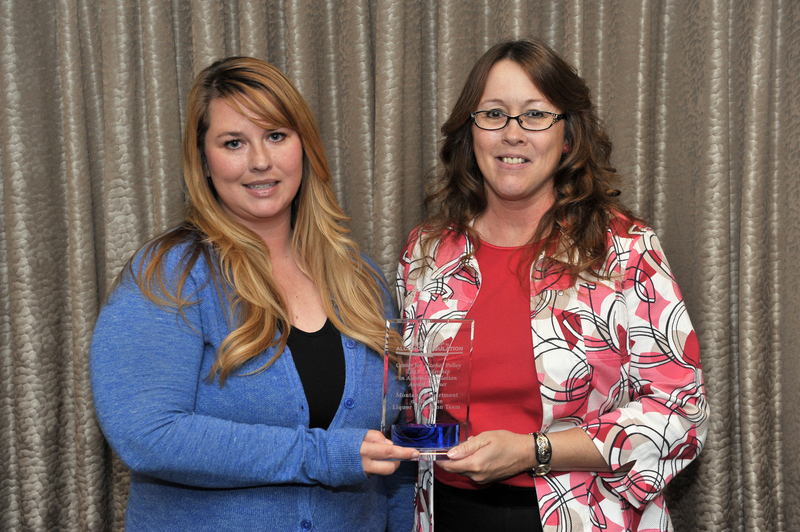 Accepting the award were Montana Liquor Education Unit employees Kacey Collins and Lisa Scates. 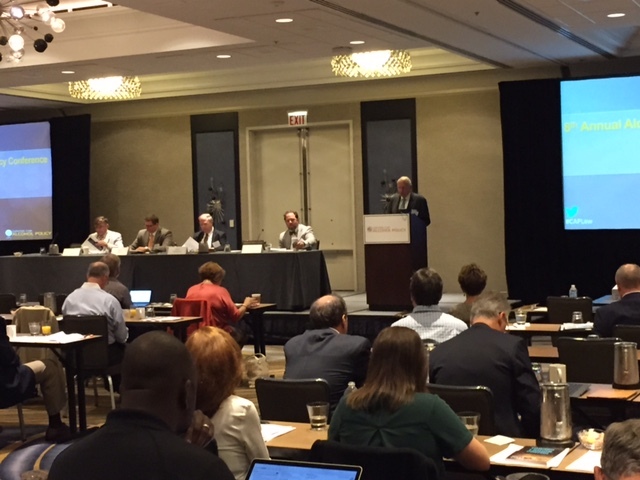 The Center for Alcohol Policy (CAP) Eighth Annual Alcohol Law and Policy Conference began September 10 at the Hyatt Chicago Magnificent Mile in Chicago, Illinois, with a welcome by CAP Advisory Council member and former National Traffic Safety Board Chairman James Hall. 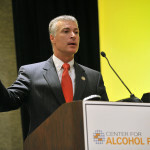 Hall noted that the conference is a key opportunity for a diverse group of state and federal alcohol regulators, law enforcement, legislators, public health advocates, members of the alcohol beverage industry and others interested in alcohol policy issues to come together to learn and share ideas. 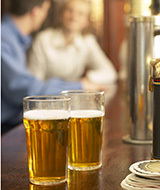 According to a bipartisan national poll commissioned by the Center for Alcohol Policy (CAP), the American public overwhelmingly supports the current system of alcohol regulation in the U.S. Additionally, the current regulatory system for alcohol is viewed by Americans as necessary to keeping the public safe. This week, Missouri Governor Jay Nixon signed legislation into law creating the Division of Alcohol and Tobacco Control Fund. The fund will support enforcement of liquor and tobacco laws and will be supported by fees from liquor licenses and permits. Specifically, 70 percent of the fees collected for liquor licenses and permits are directed to the fund, which may be used only by the Division of Alcohol and Tobacco Control for the administration and enforcement of the liquor control laws and other laws prohibiting the sale of tobacco to minors. The Center for Alcohol Policy announced today that Mike Lashbrook, former president of the Michigan Beer and Wine Wholesalers Association (MB&WWA), has been named executive director for the Center. 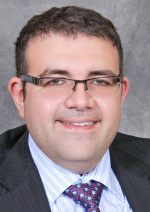 Lashbrook brings to the Center more than two decades of experience in public policy and the alcohol industry. At MB&WWA, he served as the chief executive responsible for the oversight of all operations, governance and activities of the association and its subsidiaries. He was the chief spokesperson before government, the media and the public. Lashbrook joined the association as its president in 1989, serving in that post for 26 years. During that time, Lashbrook served as chair of the Wholesale Beer Association Executives and of the Wine and Spirits Wholesalers of America Inc. Advisory Council. 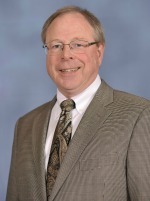 He was inducted into the Michigan Society of Association Executives Association Hall of Fame in 2014.